BAYSIDE, N.Y. - Sept. 23, 2016 - PRLog -- G&H Global LLC finally concludes the 1 Dollar promo under its well-recommended product, the Delightime LED Full Color Light. From September 11 to September 18, 2016, hundreds of applicants tried their luck for a limited chance to experience the cool and simple party accessory for mere a dollar. The mechanics to be qualified simply required submitting an honest and unbiased review on Amazon and sharing a post about the product on the popular photo sharing application Instagram. And as the final units of the premium disco lights were shipped on September 20, 2016, the event officially ends with an anticipated successful turnout. From the hundreds of customers who participated, only eight were granted to receive their LED party light for a much lower price. This means, they have a total of $10.90 savings based from the original retail price of the Delightime light. As follows, those eight individuals have already given their comments and reactions with their discounted purchases. And most of them were positive with some, even adding photos while using the product. The reviews are available on the party light's listing on Amazon. But for a more detailed and summarized version of the collected insights from the customers who joined the limited promo, an article was released to celebrate the overwhelming outpour of support towards the disco lamp. It is entitled "A Lot of Loving for the Delightime LED Party Light (http://www.delightime.com/a-lot-of-loving-for-the-delight...)" which is openly accessible to the public through the company's website. 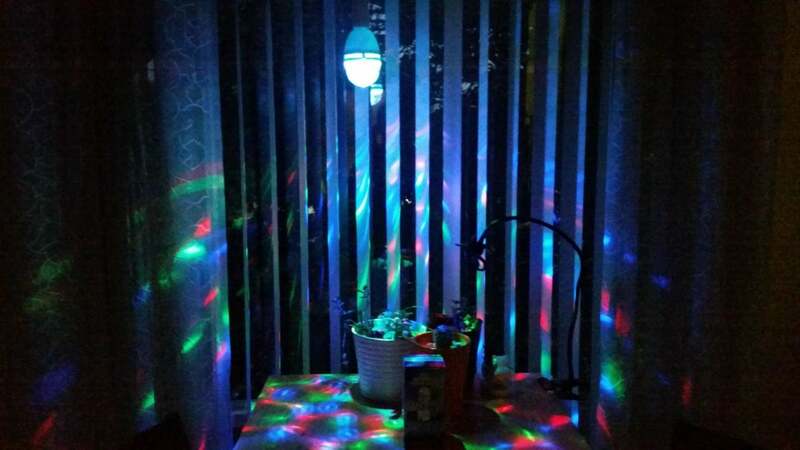 Aside from an effective party starter, the disco light can also be used as a children's toy, ambience lighting, DJ equipment and stage lighting.